and bear fruit in abundance. Then the king said to Ittai the Gittite, "Why are you also coming with us? Go back, and stay with the king; for you are a foreigner, and also an exile from your home. You came only yesterday, and shall I today make you wander about with us, while I go wherever I can? Go back, and take your kinsfolk with you; and may the LORD show steadfast love and faithfulness to you." But Ittai answered the king, "As the LORD lives, and as my lord the king lives, wherever my lord the king may be, whether for death or for life, there also your servant will be." David said to Ittai, "Go then, march on." So Ittai the Gittite marched on, with all his men and all the little ones who were with him. The whole country wept aloud as all the people passed by; the king crossed the Wadi Kidron, and all the people moved on toward the wilderness. Abiathar came up, and Zadok also, with all the Levites, carrying the ark of the covenant of God. They set down the ark of God, until the people had all passed out of the city. Then the king said to Zadok, "Carry the ark of God back into the city. If I find favor in the eyes of the LORD, he will bring me back and let me see both it and the place where it stays. But if he says, 'I take no pleasure in you,' here I am, let him do to me what seems good to him." The king also said to the priest Zadok, "Look, go back to the city in peace, you and Abiathar, with your two sons, Ahimaaz your son, and Jonathan son of Abiathar. See, I will wait at the fords of the wilderness until word comes from you to inform me." So Zadok and Abiathar carried the ark of God back to Jerusalem, and they remained there. But David went up the ascent of the Mount of Olives, weeping as he went, with his head covered and walking barefoot; and all the people who were with him covered their heads and went up, weeping as they went. David was told that Ahithophel was among the conspirators with Absalom. And David said, "O LORD, I pray you, turn the counsel of Ahithophel into foolishness." [Hushai Becomes David’s Spy] When David came to the summit, where God was worshiped, Hushai the Archite came to meet him with his coat torn and earth on his head. David said to him, "If you go on with me, you will be a burden to me. But if you return to the city and say to Absalom, 'I will be your servant, O king; as I have been your father's servant in time past, so now I will be your servant,' then you will defeat for me the counsel of Ahithophel. The priests Zadok and Abiathar will be with you there. So whatever you hear from the king's house, tell it to the priests Zadok and Abiathar. Their two sons are with them there, Zadok's son Ahimaaz and Abiathar's son Jonathan; and by them you shall report to me everything you hear." So Hushai, David's friend, came into the city, just as Absalom was entering Jerusalem. [Paul Defends Himself] Just as Paul was about to be brought into the barracks, he said to the tribune, "May I say something to you?" The tribune replied, "Do you know Greek? Then you are not the Egyptian who recently stirred up a revolt and led the four thousand assassins out into the wilderness?" Paul replied, "I am a Jew, from Tarsus in Cilicia, a citizen of an important city; I beg you, let me speak to the people." 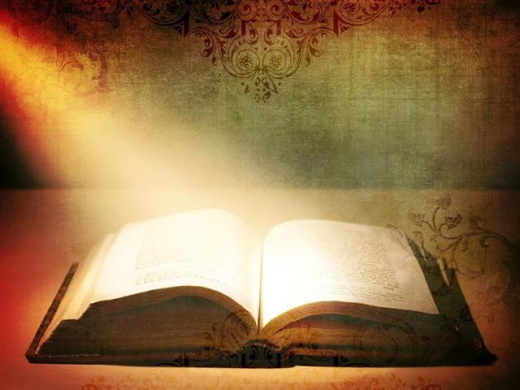 When he had given him permission, Paul stood on the steps and motioned to the people for silence; and when there was a great hush, he addressed them in the Hebrew language, saying: "Brothers and fathers, listen to the defense that I now make before you." When they heard him addressing them in Hebrew, they became even more quiet. Then he said: "I am a Jew, born in Tarsus in Cilicia, but brought up in this city at the feet of Gamaliel, educated strictly according to our ancestral law, being zealous for God, just as all of you are today. I persecuted this Way up to the point of death by binding both men and women and putting them in prison, as the high priest and the whole council of elders can testify about me. From them I also received letters to the brothers in Damascus, and I went there in order to bind those who were there and to bring them back to Jerusalem for punishment. [The Healing of Blind Bartimaeus] They came to Jericho. As he and his disciples and a large crowd were leaving Jericho, Bartimaeus son of Timaeus, a blind beggar, was sitting by the roadside. When he heard that it was Jesus of Nazareth, he began to shout out and say, "Jesus, Son of David, have mercy on me!" Many sternly ordered him to be quiet, but he cried out even more loudly, "Son of David, have mercy on me!" Jesus stood still and said, "Call him here." 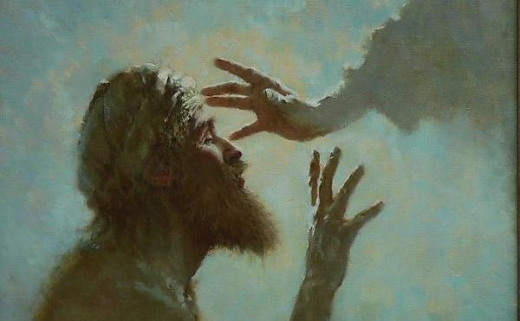 And they called the blind man, saying to him, "Take heart; get up, he is calling you." So throwing off his cloak, he sprang up and came to Jesus. Then Jesus said to him, "What do you want me to do for you?" The blind man said to him, "My teacher, let me see again." Jesus said to him, "Go; your faith has made you well." Immediately he regained his sight and followed him on the way. Love is not rude, it is not selfish, and it cannot be made angry easily. Love does not remember wrongs done against it. Love is never happy when others do wrong, but it is always happy with the truth. Love never gives up on people. It never stops trusting, never loses hope, and never quits. Praying for someone who has hurt us deeply is a difficult task, however we are commanded to do it, and to love as God loves. I was faced with a situation like this. Someone inflicted great pain to one of my family members, and had been doing it continuously for years. Not only did this person deal out the original hurt, but magnified it by spreading lies, accusations, and threats. This behavior even affected innocent children. I must admit, I actually hoped this person would succumb to their own addiction to ease my loved one’s pain. It certainly would have made our lives easier, but instead I prayed. I knew what God wanted me to do. I also knew in a very selfish way that if Christ could come into this person’s life, they would change, making our lives easier. Proverbs 24:17 says, “Don't rejoice when your enemies fall; don't be happy when they stumble.” I needed to shift my evil thoughts to reflect instead, on God’s healing grace. God’s desire is that all should come to repentance, through Jesus Christ. Hoping for this person’s failure only hurt the one who loves me the most; my Lord. 2 Chronicles 15:7 says, “Do not give up, for your work will be rewarded.” So, I knew that even though it seemed hopeless to me, I should never give up. I should just keep praying. It’s been over six years, and there have been no changes, however I know I am doing the will of my Father. In an abusive situation, we must stand back. We can learn to love from a distance. God never told us we had to trust another person, but, we can fully trust Him. We do not have to claim any warm, fuzzy feelings, only a desire to want a human being, to come to Jesus in repentance. God’s love is enough to overflow from us, to even our greatest enemies. We must rely on His love, not ours. In my case, I will continue to be obedient, and pray. I will no longer hope for this person’s downfall. God gave His life for the lost. If I claim Him as mine, how can I want anything less? It’s easy to love one that is kind, but if we want to show love to God, then we need to show love even to difficult people. We can’t do it on our own, but through Christ, we can do all things. We must place our yoke upon Him. He will give us His strength to forgive as He has forgiven us, and to love as He loves us. Devotion shared by Jenny Calvert. Dios haga resplandecer su rostro sobre nosotros, para que se conozcan en la tierra sus caminos, y entre todas las naciones su salvación. One thing I ask of the Lord, this is what I seek: that I may dwell in the house of the Lord all the days of my life, to gaze upon the beauty of the Lord and to seek him in his temple…Then my head will be exalted above the enemies who surround me; at his tabernacle will I sacrifice with shouts of joy; I will sing and make music to the Lord. “The eighteen years were a tremendous spiritual challenge, which brought great blessings I never before thought possible in my life. Prison officials ordered me to empty the camp night-soil pit, the prison’s cesspool. While I had little experience of physical labor, its hardship and suffering did not frighten me. Although most of the other prisoners dreaded night-soil pit duty as the most difficult task in prison, I accepted this assignment without complaint. The pit stored all the human excrement, both liquid and solid, from the entire camp. Once the pit was full, its human waste steeped until its foul contents were ripe enough to be used as fertilizer. Not only did I walk into this disease-ridden mess to remove it, but I had to breathe its stench as I scooped away each successive layer and dropped hundreds of shovel loads into collection buckets for others to carry to the fields. “The night-soil pit’s pungent odors lingered with the digger at least three days, literally surrounding him with an almost maddening stench. All the guards and other prisoners avoided the night-soil pit digger to escape being overcome by the lingering odor. One reason I could enjoy working in the night-soil pit was the solitude. Surrounded only by foul air and human waste, I could sing music of praise to God as loudly as I wanted. And the guards were never close enough to protest this otherwise objectionable behavior! RESPONSE: Today I will sing praises to God no matter how terrible my circumstances turn out to be. PRAYER: Lord, may all Christian prisoners experience the joy of praising You in their trials this day. I love spinach. I love it in salads – especially with grilled salmon, goat cheese and pine nuts. I love it on a turkey sandwich with whole grain bread, a thick, juicy slice of a sun-ripened tomato and sharp cheddar cheese. I love spinach sautéed with EVOO, garlic and a pinch of sea salt. Straight up, I guess I’m just a spinach-kind-of-girl. Anyone with me? Now that we’re clear on my love for this wonderful, dark green leafy veggie, imagine my disappointment when I was told by the evening news that I had to throw out the two bags of fresh spinach in my refrigerator! A while back there had been an e-coli outbreak that was linked back to some manufacturing plants in California that process fresh-bagged spinach. Several states across America reported multiple cases of e-coli poisoning. Many hundreds became sick and one person even died. It was serious. Initially, I stood in my kitchen for several minutes wanting to ignore the warnings. I was tempted to resist the news reports as being valid. I thought to myself, I’m sure MY bags of spinach are just fine… I hate to waste all of that money…Spinach is good for me…this is ridiculous! But, alas…I threw out my spinach. I heeded the warning. The risks weren’t worth the rewards. That spinach dilemma caused me to think about some spiritual issues. There have been many times in my life where I’ve sensed a warning in my soul that was prompted by the Holy Spirit. Each time I’m faced with such a warning, I’m also faced with an opportunity to choose my response to it. You are too. God’s favor was upon Sampson from the time he was born. 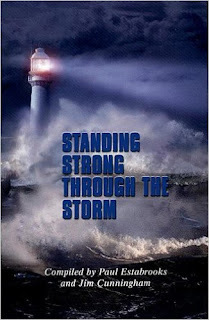 He was given exceptional physical strength that was purposed for God’s plan and glory. Over the years, Sampson grew somewhat feisty and complacent. Much to his detriment, he chose to go his own way and lean on his own strength by using his God-given gifts for his own selfish purposes and amusement. The Bible shows that Sampson was warned several times about the deceitfulness of his betraying wife, yet he failed to heed the warnings. 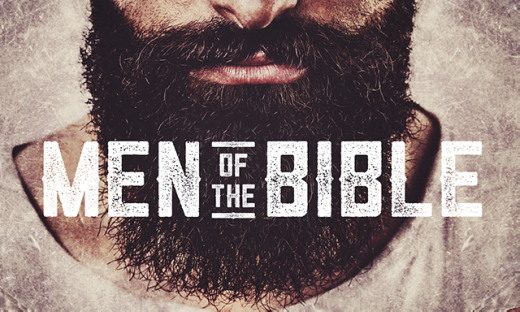 The deceptive ways of Delilah were just as toxic as the deadliest of e-coli strains… but time after time, Sampson ignored the warnings and chose his own way over God’s way. The results were painful, humiliating and, ultimately, fatal. Delilah’s betrayal caused Sampson to be taken prisoner and beaten. His strength, along with his dignity, was stripped away from him. After some very nasty torture by the Philistines, Sampson, in his last moments prior to death, remembered his need for God. He cried out to the Lord and was instantly helped and redeemed. God heard Sampson’s repentant heart. He hears ours too. Did you know that the New Testament book of Hebrews, chapter 11, lists Sampson in the hall of faith? I was amazed and encouraged to see this. What a beautiful display of the truth that now matter what temptations we have given in to, no matter what warnings we have failed to heed and no matter what compromises we may have succumb too; it’s never too late to turn back to God. During the e-coli spinach scare I had to wait a few weeks to have my next spinach salad. I heeded the warnings because the risks weren’t worth the gain. Is there any way you need to heed a warning or prompting of the Holy Spirit today? Holy Lord, Not one of us is above temptation. Please help me to recognize and heed the warnings You whisper to my soul. Grant me the courage and strength to run from temptation and resist the enemy’s attempts of deception in my life. Thanks for Your Word that guides each of us when directions seem unclear. Is there something you are trying to hold on to that God has been nudging you to release? Obey Him today and trusting that HIS plan for you is even better than your plan for you. Is there a temptation in your life that you are flirting with? 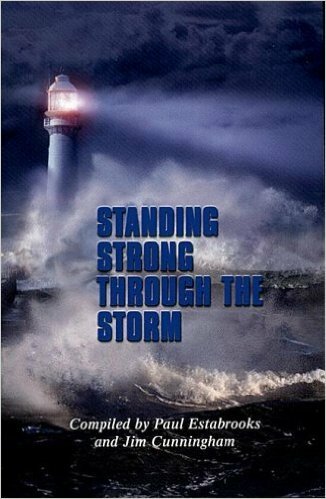 If so, run the opposite direction – heed the warnings of the Holy Spirit in your heart – and pray that God would strengthen you in your areas of weakness. Have you given in to temptation? Do you need to confess it right now? God is waiting with arms open wide. LHM Daily Devotion - August 18, 2017 "Last Requests"
Emily Pomeranz, a resident of Cleveland Heights, Ohio, was dying. (Jesus said) "Yet a little while and the world will see Me no more, but you will see Me. Because I live, you also will live." This was her second go-round with pancreatic cancer, and there was no doubt she was losing the battle. Her friends, including one by the name of Sam Klein, would often stop by for a visit. More than once these friends asked, "Is there anything we can do? Anything we can get you?" Well, Pomeranz put some thought into her friend's requests to provide assistance. She eventually came up with two items. So the next time Klein asked what she needed, she was able to say, "I'd like a Cleveland Indian's hat." Klein thought a hat would be no problem. The second thing on Pomeranz's list was harder. She said, "I want a Tommy's mocha milkshake." I should tell you Tommy's Restaurant, the restaurant from which this milkshake was to come, was 400 miles away: a tough distance for any milkshake to travel. Well, Tommy Fello, the owner of the restaurant was touched by, and started out to fulfill, Pomeranz's request. The mercy mission was assisted by a dry ice donation from an ice cream company in Cleveland. Fello made up his concoction, packed it, and paid $123 for overnight shipping to Pomeranz's room. The mocha milkshake made it to the hospital. Pomeranz enjoyed it and talked about it for days. Now, my question to you is this: if you were in Pomeranz's situation, and odds are that someday we will be, what will be your last request? 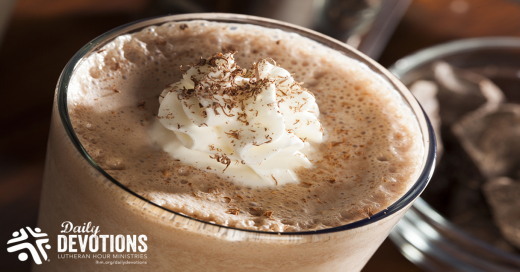 It's quite possible the thought of a mocha milkshake might be high on your list -- nothing wrong with that. And maybe you would want a Chicago Bear's cap. That would be okay, too. But would there be anything of a spiritual nature on your list of special requests? Over the years, I have waited at the deathbeds of some powerful saints. These people were looking at life from a different perspective than most. No longer did they number their days in weeks and months. They were in a final countdown, and their Savior who had always been important had become more so. 3. planning a funeral service which would bear witness to the Savior who had blessed them. Oh, there's one other thing I should share about these folks and their last requests. To a person, each of them knew that their "last request" was really not their last. They let everyone know that because Jesus lives, they would continue to live also. 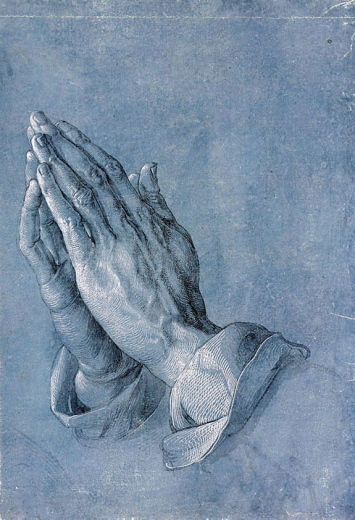 THE PRAYER: Dear Lord, there is a time when I must say my earthly farewells. Grant that I do so bearing witness to You who has done what was necessary so these won't be my final goodbyes. In Jesus' Name. Amen. Yo no encuentro delito alguno en este hombre. ¿Alguna vez lo pusieron en un grupo con personas no deseables a las que no consideraba como sus iguales? ¿Recuerda la injusticia de ese acto? Usted sabía que era malo, pero también sabía que no era tan malo como el resto del grupo. Piense por un momento cómo se habrá sentido Jesús cuando, en su camino al lugar donde sería brutalmente crucificado, iba acompañado por dos malhechores comunes quienes, con justa razón, iban a ser crucificados. Jesús no merecía la muerte -ni la muerte en la cruz, ni ninguna otra. Es difícil siquiera imaginar lo injusto que esta escena fue para Jesús. 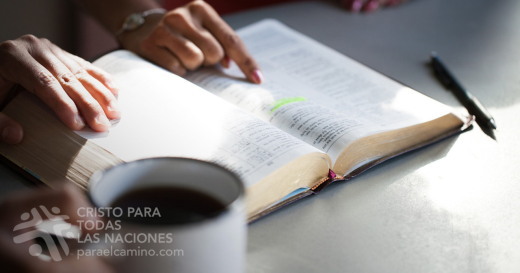 "Él es la imagen del Dios invisible, el primogénito de toda la creación" (Colosenses 1:15). Por la gracia de Dios, uno de los criminales entendió; él comprendió qué era lo que estaba ocurriendo en ese preciso momento. El otro, en cambio, no entendió y trató de enervar amargura en Jesús. El malhechor lo amonestó diciendo: "Lo que nosotros ahora padecemos es justo, porque estamos recibiendo lo que merecían nuestros hechos, pero éste no cometió ningún crimen" (Lucas 23:41). Nosotros somos como esos dos que merecen morir. Pero gracias a su sangre derramada, ¡hemos sido sanados! ORACIÓN: Amado Padre, en la sangre de tu Hijo hay vida para todo aquel que cree. Tú puedes cambiar vidas a través de la fe y otorgar vida eterna. Nuestros pecados son grandes, pero tu gracia es aún mayor. Por tu Espíritu Santo mantennos cerca de ti. En el nombre de Cristo oramos. Amén. Biografía del autor: Esta devoción esta basada en un texto proporcionado por Ilze Abrama, quien trabaja en las oficinas de Cristo Para Todas las Naciones en Letonia.